The Board is very pleased that so many people got in touch to vote or make comments. 227 investors took part, which is a 42.8% member participation rate. 94 investors (41.4 % of the voters) preferred the gabled pitched roof, with another 18 (7.9% of the voters) preferring the plain pitched roof. The method of voting was: by email, text message, Facebook message, phone, face to face at pier events, and by post. Some asked why the Board didn’t simply move forward with the design shown at the AGM. The concept at that stage was for consideration as part of our review. Chairman John Davitt, in his remarks to the meeting, said it was not the final design, it was at the concept stage. 78 people attended the AGM, only 14% of the membership. We committed to taking a vote from all members and we are very pleased that so many members took that opportunity. There remain other aspects to finalise, such as windows, roof material, and the length and width of the revised buildings. These will all be drawn up now the roof style has been settled. 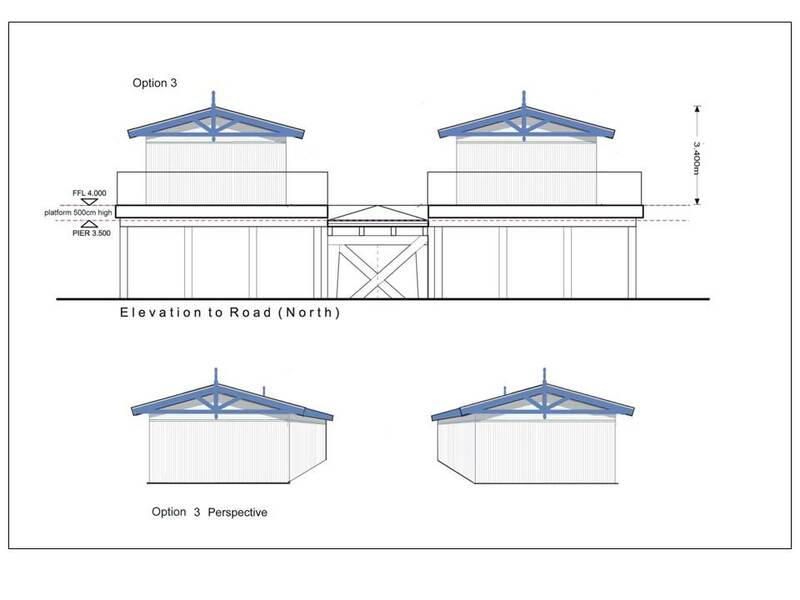 The Board is considering various options to reduce the length, height and width of the Visitor Centre.